New York — Hookedblog are currently travelling in New York and are in town for a number of days on a short break. 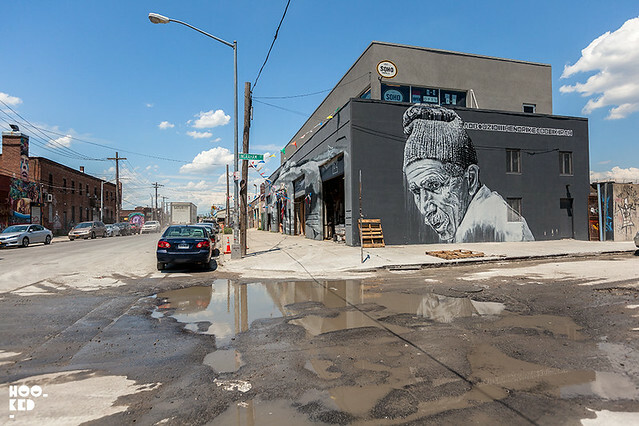 Earlier in the week we stopped by the Coney Art Walls Project (Previously on Hookedblog) in Coney Island to see some of the 2016 additions to this outdoor mural project. 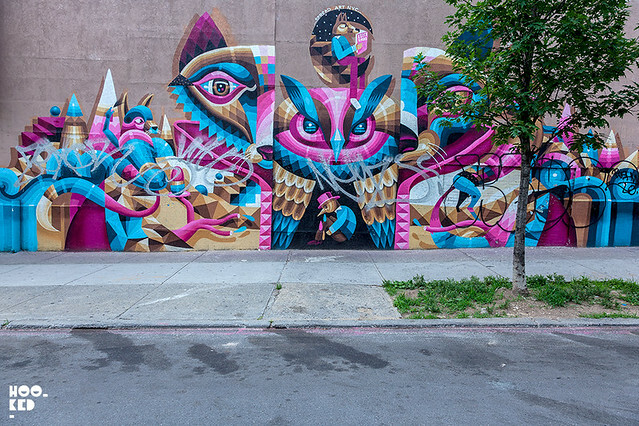 We also headed over to Bushwick in Brooklyn to visit the neighbourhood and see some of the new works that were painted over the weekend. Our timing kinda sucked as we missed The Bushwick Collectives block party by a few hours arriving into town as the party was winding down. 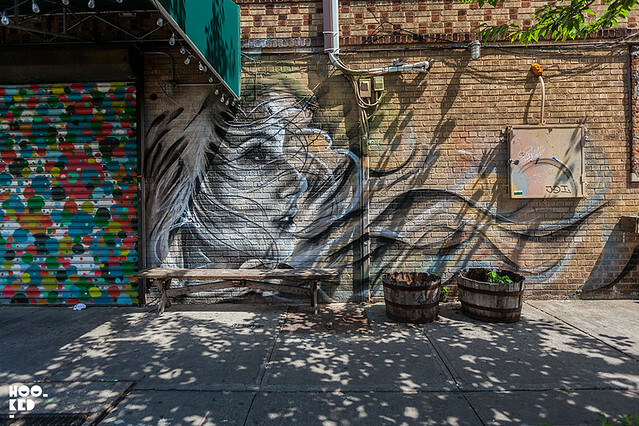 But on the plus side it means there are some super fresh new murals for us to check out and share with you. 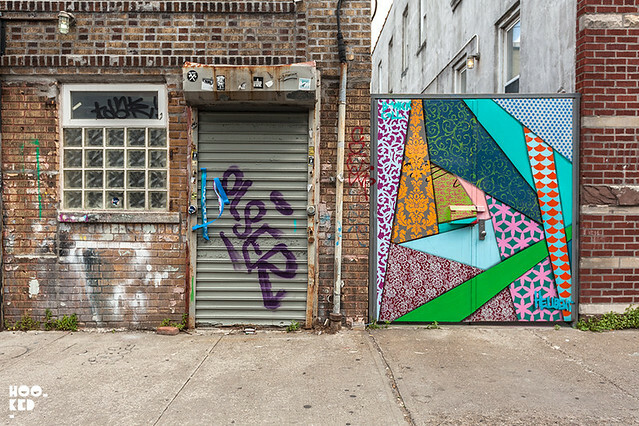 We briefly stopped by this part of town last year and almost missed our flight as we got carried away shooting some of the larger scale works alongside the stencils and pasteups by New York artists AIKO, Faile, Bast and Swoon. 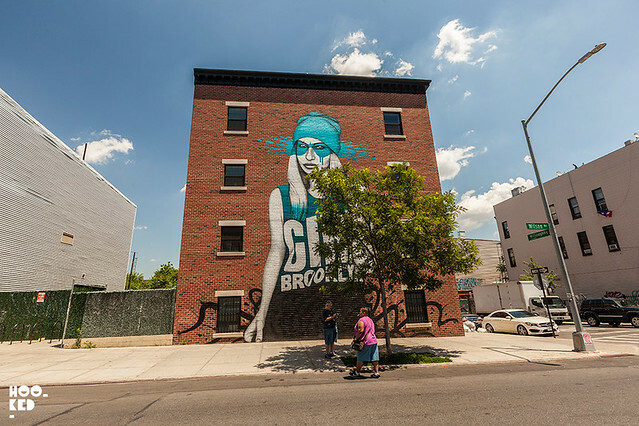 We had to cut our visit short at the risk of missing our flight so today we make sure to visit Bushwick first and give us time to discover some of the gems in the neighbourhood. 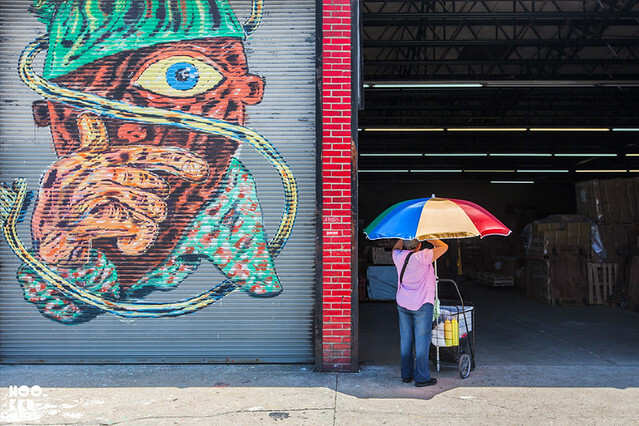 Having promised to show us around last year if we were ever in town, we hit up Bushwick resident and fellow street art photographer Daniel Weintraub or Halopigg as he is better know on Instagram. As a local he knows the ins and outs of the neighbourhood and who better to show us around us the hood! We hit the streets checking out some of the new works as well as some of those that went up over the last year. 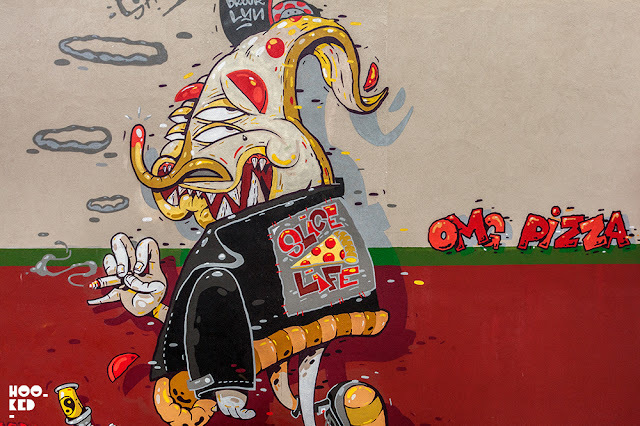 We spent a few hours strolling around the surround blocks checking out the work before breaking in the afternoon for some New York pizza and beers at Archie's. 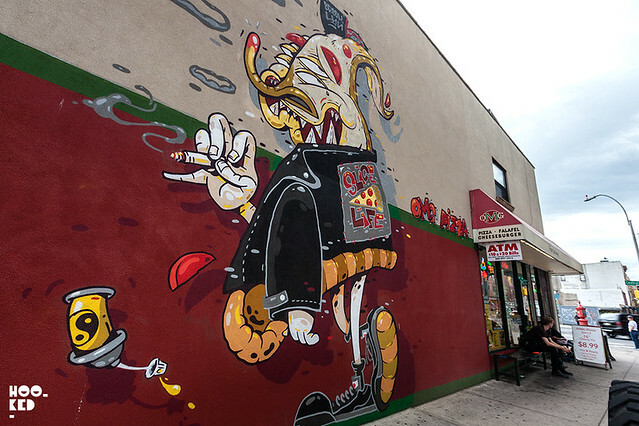 The work of New York based street artists The Yok and Sheryo in Brooklyn. Always great to catch one of REVS sculptural works. 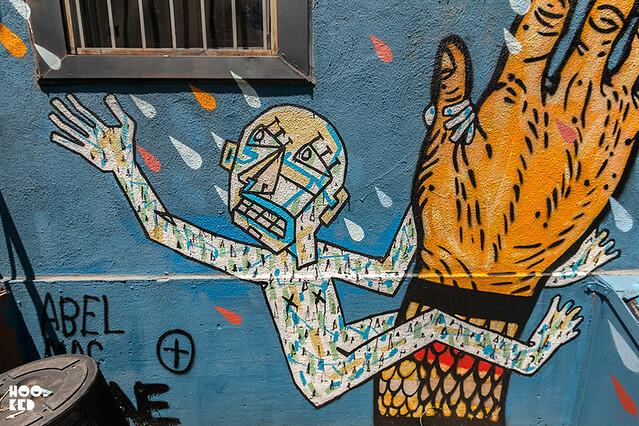 Collaborative mural featuring the work of RAE and Sacred Youth on the exterior of the neighbourhood paint shop Low Brow Artique. 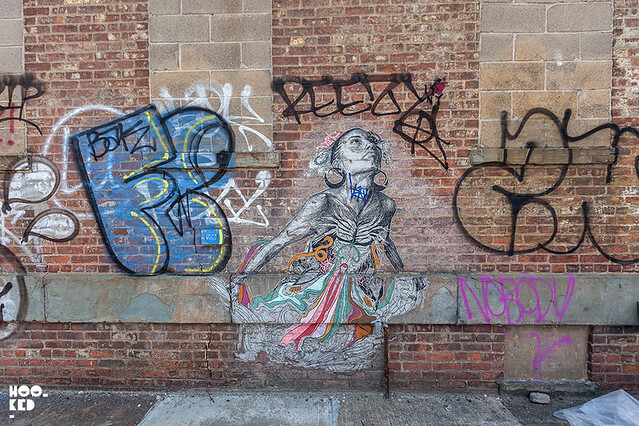 It's always a joy to catch these large scale Swoon pieces on the street, I am sure this piece has been here for a few years now and is still looking great. 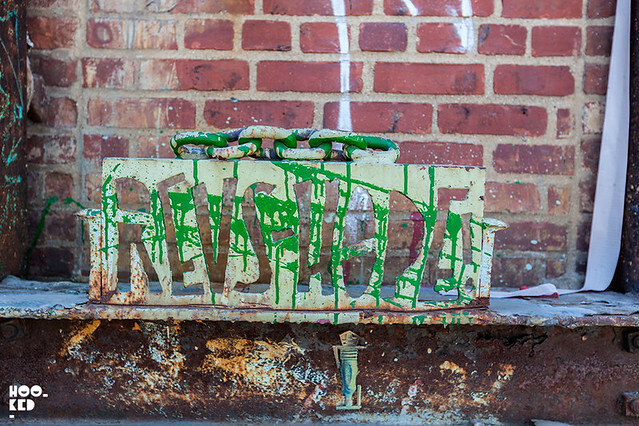 We will continue to update this post with some additional works once we have some more time to upload the pictures as always difficult to find time when you are travelling, but for now we hope you enjoyed this little taster of Bushwick's street art neighbourhood tour. 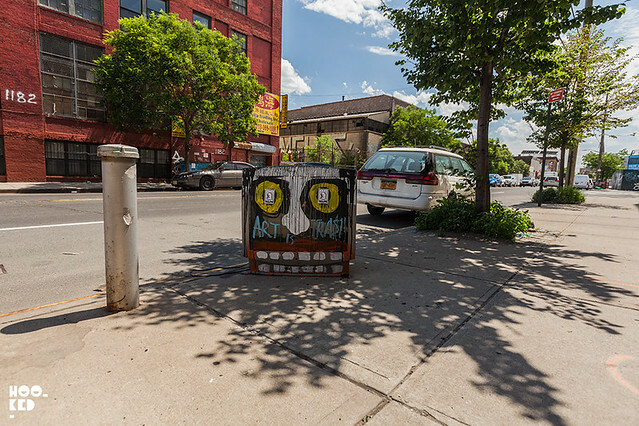 Shout out to Halopigg for showing us about his New York neighbourhood.